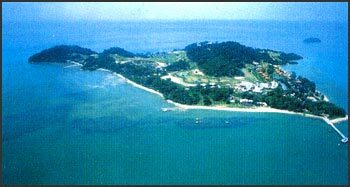 Pulau Besar, the biggest among a cluster of islands, off Melaka and is shrouded in myths and legends. It is covered by lush green vegetation and boasts fine sandy beaches. 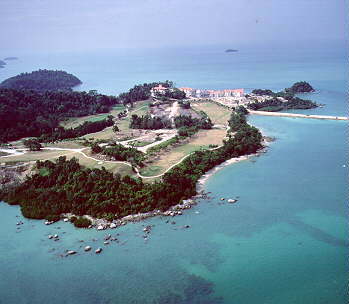 The 120-hectare is island is located five nautical miles off Melaka. It has a number of old graves, including one of the founder of Melaka, Sheikh Ismail. Devotees come from near and far to offer prayers. Pulau Besar is just 10 minutes by boat from Umbai, where travellers stop to savour its famous grilled fish before boarding boats for the island. The island also boasts a resort, the Putera Island Resort. It's a member of the Seri Costa Group of Hotels and Resorts. Seri Costa also operates a cosy boutique hotel in Plaza Mahkota, a commercial centre next to the bustling business and entertainment hub in Melaka Raya. Since taking over the Putera Island Resort, Seri Costa has embarked on an ambitious plan to improve the resort, including better rooms and recreational facilities. It has also planned to set up a sailing academy. It has adopted a "resort for all" concept to woo tourists. Its secluded beach offers guests privacy to enjoy a holiday with their families or friends. Puterra Island Resort has 67 chalets with a choice of views: hill, beach and sea. 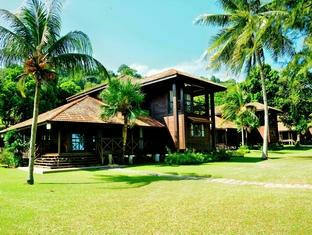 Their traditional Malay architecture gives the resort a rustic and romantic ambience. It even has dormitory for student groups and budget travellers. It's Grand Ballroom can seat up to 750 persons and thus ideal for large meetings, while Executive and other function rooms cater for smaller groups. Sports and recreational activities include canoeing, island hopping, fishing, jungle trekking, swimming, cycling, beach volleyball and even traditional games like batu lima. For children, there's the Kids World. It's Coffee Terrace serves both local and international fare. Outdoor barbecue can be arranged. The resort arranges short excursions to Melaka for visits to historical places and shopping is just a 20 minutes ferry ride. Tours of Pulau Besar with it's many interesting historical and legendary places are a must for a memorable stay. According to legend Sultan Ariffin of Baghdad stopped over at Pulau Besar on his way home, whilst spreading the Islamic faith in Acheh from 1416-1420. 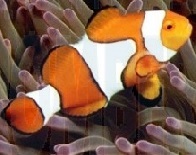 On his way home, he disembarked on the island and fell ill there. Soon he passed away and was buried on the island. His tomb, measuring some thirty feet long is considered the oldest ever built in Melaka. Back then, it was believed that the size of the tomb was determined by the age of the deceased. If he was 30 years old at the time of his death, then his tomb would be five cubic long. If he was 60 the tomb would be ten cubic or thirty feet long. The mysterious cave where a wise man called Yunus used as part of his training in self-discipline and silat practices. It is a unique fresh water well exceedingly close to the sea. Legend has it that when the tide is high the water in the well would be saline but during low tide the water would be fresh. Legend has it that this well could make your wishes come true if you dipped your hand in the well and made the wish. The tomb belonging to seven princesses from India who while on a visited to Pulau Besar were struck down by an epidemic. The princesses were buried on the island and their graves marked with the shrine. The famous rock at the golf course, where more then a century ago Panglima Lidah Hitam demonstrated his power by using his tongue to crack the rock into two. Sharifah Rodziah was a pious woman and a devout Muslim. She was said to be the 'guru' to Malay queen legend, Siti Zubaidah. Sharifah Rodziah played a prominent role in the spread of Islam in the region. Each of the 3 rooms at this 1-star hotel have all the comforts and conveniences of home. Included in all rooms are television, shower, television LCD/plasma screen. Also to be found at the hotel are tours. After a day of work or exploring, water sports (non-motorized), garden, private beach are some of the ways to unwind. Convenient location, a dedicated staff and first-rate facilities make this hotel a favorite among travelers.